This is map of an underground complex that was just recently discovered by coal miners by accident, after bringing down a section of a tunnel, an entrance was revealed. Three miners went inside and never returned. The person in charge of the mining operation then decided to send two more miners accompanied with 4 city guards, he paid them to do it, so it was like a “sellsword” gig for them. Again, they weren’t seen ever again. Now a local baron, the owner of the mine is offering a good reward to adventurers willing to explore and clear this underground complex so that he can continue mining. In reality, this is a forgotten temple and resting place of Ultzinna, a necromancer who entombed himself long ago in an arcane accident. He is in undead state (a lich maybe), waiting at the bottom of the temple for more explorer to turn into undead servants. His necromancy magic circle allows him to ignore the limit on undead followers. Because he is immortal now, he can wait as long as he needs to to amass a big army of undead. He already had a good number of skeletons, and now he has 9 zombies, which were the miners and city guards. This map is the first one I release since my Patreon profile went live. 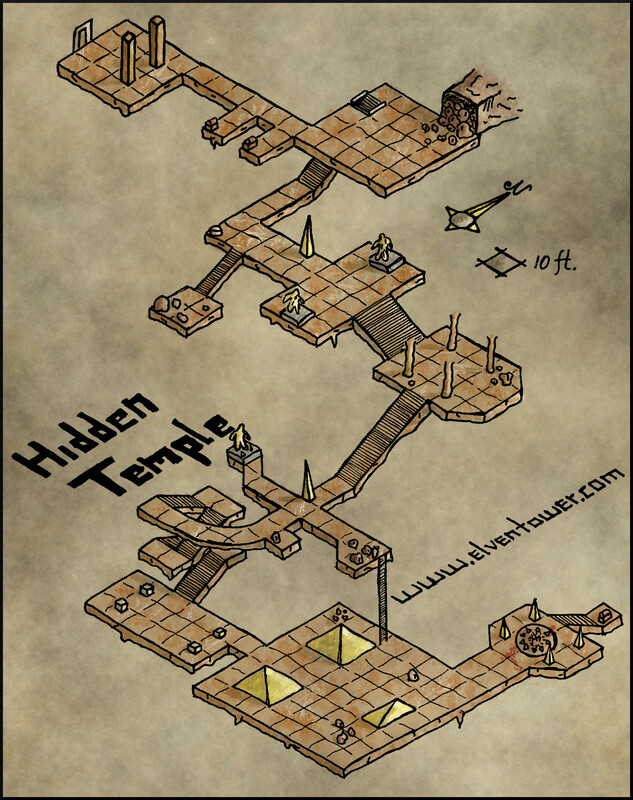 If you like this and my other content, consider funding my cause and getting Hi-Def uncompressed versions of my maps.